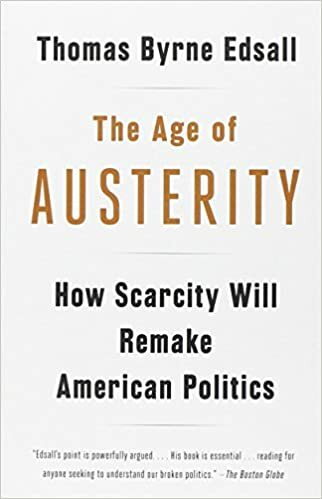 One of our most prescient political observers provides a sobering account of how pitched battles over scarce resources will increasingly define American politics in the coming years—and how we might avoid, or at least mitigate, the damage from these ideological and economic battles. In a matter of just three years, a bitter struggle over limited resources has enveloped political discourse at every level in the United States. Fights between haves and have-nots over health care, unemployment benefits, funding for mortgage write-downs, economic stimulus legislation—and, at the local level, over cuts in police protection, garbage collection, and in the number of teachers—have dominated the debate. Elected officials are being forced to make zero-sum choices—or worse, choices with no winners. Resource competition between Democrats and Republicans has left each side determined to protect what it has at the expense of the other. The major issues of the next few years—long-term deficit reduction; entitlement reform, notably of Social Security, Medicare, and Medicaid; major cuts in defense spending; and difficulty in financing a continuation of American international involvement—suggest that your-gain-is-my-loss politics will inevitably intensify.